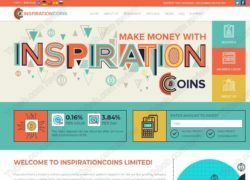 In this review of Inspiration Coins we reveal that this investment program is a scam that you have to avoid. 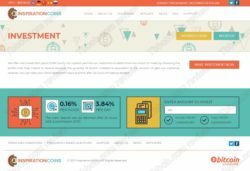 InspirationCons Limitied is a company with an online investment platform. You are supposed to deposit bitcoins and get a daily interest rate of 3.84%. Which means 115,2% per month. And that’s it. So, can you really double your money each and every month doing nothing? 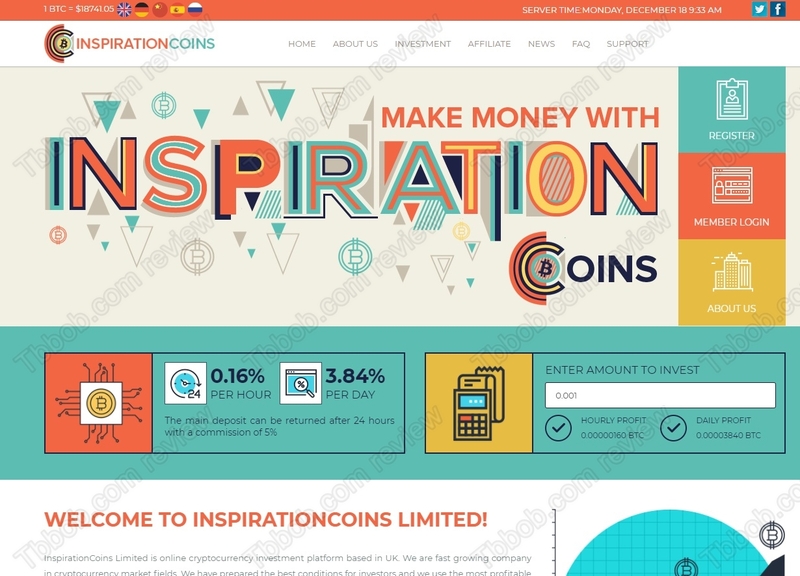 Let’s get straight to the point, InspirationCoins is not a real company with real investments going on, it is a Ponzi scheme designed to make quick bucks to a few scammers, that’s all. Inspiration Coins will collect deposits from the public and might pay some interests to attract a lot of people. If they pay, they will use new deposits for that. But there certainly will be a day when the owners will close it down, or the system will collapse on its own because of the lack of new deposits. This is how Ponzi schemes work and end. Nowadays Ponzi schemes often use UK tax registrations to look legit, but you have to realize that a tax registration shown by Inspiration Coins means nothing. It says nothing about the legitimacy of the business. Because Inspiration coins is offering investment services, it would be legit only with a licence from the Financial Conduct Authority. But it of course is not registered with the FCA, so it is an illegal operation. Inspiration Coins is a scam that will soon collapse, because there will not be enough new deposits to pay out the profits. Stay away from it! If you are interested in real cryptocurrency trading, try a free demo account with a regulated broker. Be sure to understand all the risks before you start trading with real money. You really saved me. I don’t know anything about Bitcoins but when I saw Inspiration Coins I though “Well, let’s give it a try and see what it’s like”. I made an account but I thought that it’ll be a good idea to check if this website was the real thing or not. Thanks a lot for writting this, I hope this post save many people like me hehehe. Can’t get your money out. Capital or profit.